I had an interesting Independence Day celebration here in south eastern Pennsylvania, the heart of the Pennsylvania Dutch cultural region. The Pennsylvania Dutch were immigrants from Switzerland, Germany, and the Czech Republic who settled this area in the 17th and 18th centuries. They were seeking religious freedom, as many American immigrants. Over 300 years later, Pennsylvanians still affiliate with this culture, but most has been lost through the generations of American life and modern influences. 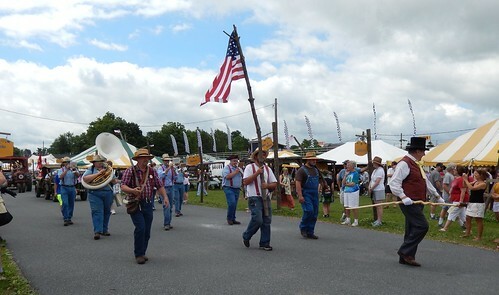 I attended the Kutztown Folk Festival, a celebration of values of these settlers. The Pennsylvanian Dutch are still evident today in the Amish settlements here, as well as private church affiliated universities like Moravian College. At the fair there were many old fashioned crafts, livestock shows, and a quilting competition. 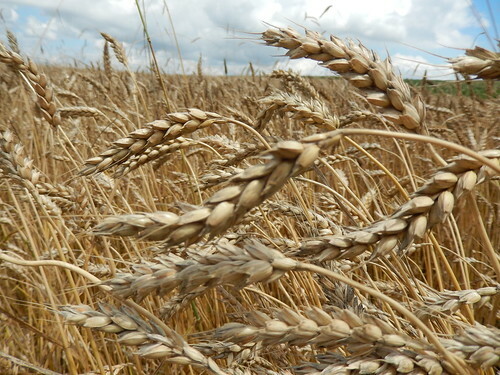 We stopped at an Amish farm (wheat field shown above) and bought some corn and tomatoes. The Lehigh Valley Historical Society has done a good job in preserving the sites and promoting the teaching of history. It is amazing to think that this region was once on the frontier of America. 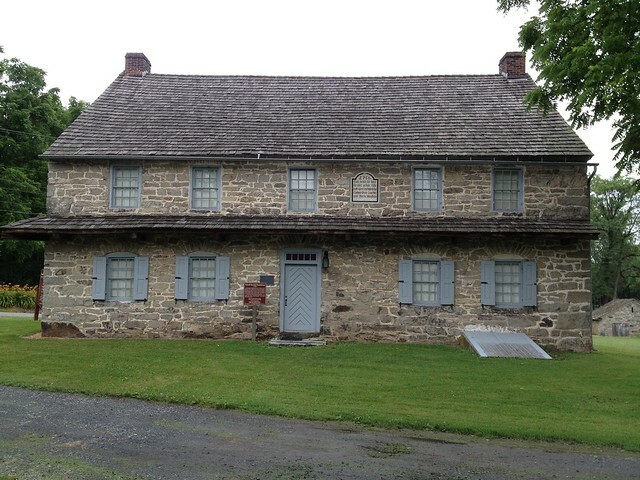 The farmhouse below is from 1756 and is typical of the early frontier Pennsylvanian Dutch farms. It is nice that people recognize their heritage and remember the historical roots of America. With modern American culture, so much is homogenized that most US cities and towns are indistinguishable from each other. There is a lightly distinctive feeling of uniqueness here and the rolling hills of corn and wheat, the Mennonite horse carriages and the beautiful stone farm houses bring back memories of the first American settlers. It was a good way to spend birthday number 237 of the United States of America. Here in Pennsylvania, so close to many sites (Valley Forge, Gettysburg, Philadelphia) that played an important role in forming our nation.